Beyond 94, created by the CBC, provides up-to-date status reports, as well as extensive summaries explaining those status reports. Already, the website has revealed a telling statistic: as of March 2018, just 10 out of the 94 Calls to Action have been completed. Stephanie Brown, who runs the CBC Indigenous Unit, said Beyond 94 will provide a user-friendly and invaluable teaching tool. "This project will provide crucial education about the history of our country and the wrongs that were done and continue to have an impact on Indigenous Peoples directly from residential school survivors, people aging out of the Child and Family Services system, to Indigenous inmates currently serving time," Brown said. But the project, as the title Beyond 94 suggests, is also about moving forward together, she said. "It will be a living resource in the months and years ahead. You'll hear how these intergenerational experiences have had an impact on Indigenous people and their communities and what they say is required to change." Jack Anawak sees the website as a means to better broaden Canada's understanding of the residential school experience, the harms it created and need to make things right. That's why the Nunavut resident says the 94 Calls to Action of the Truth and Reconciliation Commission (TRC) are more than just a blueprint for change. They're very, very personal. "They're the basis for addressing all the wrongs that were done to us. They're the cornerstone of what should have been, but was shoved aside by the colonial system," said Anawak, who as a child was taken from his Inuit community of Naujaat to attend residential school in Chesterfield Inlet. 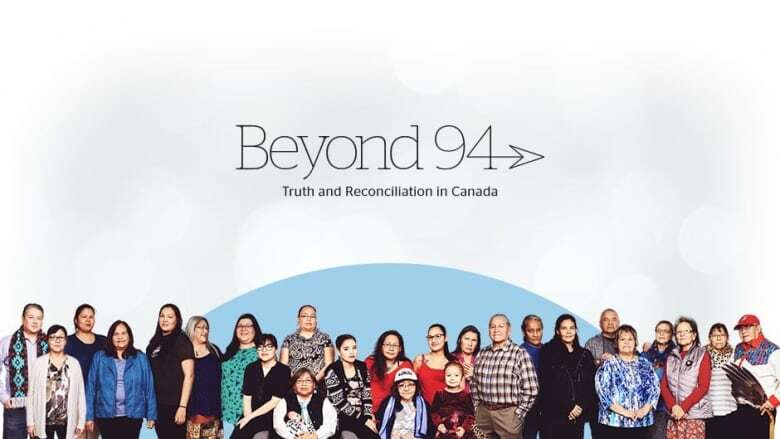 Beyond 94 was a full year in the making and involved CBC journalists across the country. 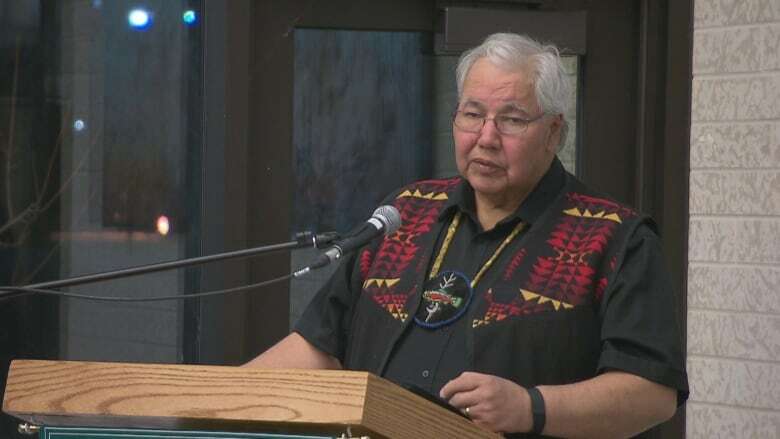 Senator Murray Sinclair, a former Queen's Bench Justice and the TRC's Chief Commissioner, lent his voice to Beyond 94, reciting on the record the very calls to action he wrote. "Reconciliation turns on one very simple concept: I want to be your friend and I want you to be mine," said Sinclair. "So whenever anything goes wrong, for you or for me, we can fix it. And this country has gone wrong." The first residential schools opened in Canada in the 1870s. They were the product of churches and the government; a collective, calculated effort to eradicate Indigenous language and culture that the commission described as cultural genocide. "I was punished for being Inuit. I was punished for speaking Inuktitut," Jack Anawak said. Louise Hall, a residential school survivor from Manitoba, was punished because she was brown. "The nuns used to tell me to 'wash until you take all your brown skin off, cuz God doesn't like brown skin,'" Hall said. "That's what I was struggling with. Never feeling I was good enough for society." From 2008 to 2014 Sinclair and co-commissioners Marie Wilson and Chief Wilton Littlechild heard stories like these, from thousands of survivors. In June 2015, the commission released a report based on those hearings. From that, they created the 94 Calls to Action; individual instructions to guide governments, communities and faith groups down the road to reconciliation. Beyond 94 will now monitor the progress of that journey. It will tell Louise Hall whether faith groups are making amends (Call to Action #48), whether the Pope has formally apologized (Call to Action #58), and what churches are doing to help the survivors heal (Call to Action #61). It will tell Jack Anawak what governments are doing to preserve Indigenous languages (Call to Action #14), what they're doing to reduce the number of children in care (Call to Action #1) and what they're doing to quell the tuberculosis crisis playing out in remote northern communities (Call to Action #20). And because Beyond 94 will be updated continuously, TRC co-commissioner Marie Wilson hopes it will hold governments to account. "The beauty of a Truth and Reconciliation Commission is that it has provoked a hopefully ongoing dialogue," Wilson said. "We can start to be tracking that and see are we getting better in certain areas and if so, let's do more of it. Or are we getting worse in areas? And let's drill down on that." But not everyone is optimistic that positive change is in the air. Watershed moments that played out in society have left their mark. First, in 2017, residential school survivors expressed shock when federal Conservative Senator Lynn Beyak defended residential schools as "well intentioned." Then in 2018, Indigenous Peoples expressed grief when a Saskatchewan farmer Gerald Stanley was acquitted of murdering a 22-year-old Colten Boushie, an Indigenous man who'd entered his property. 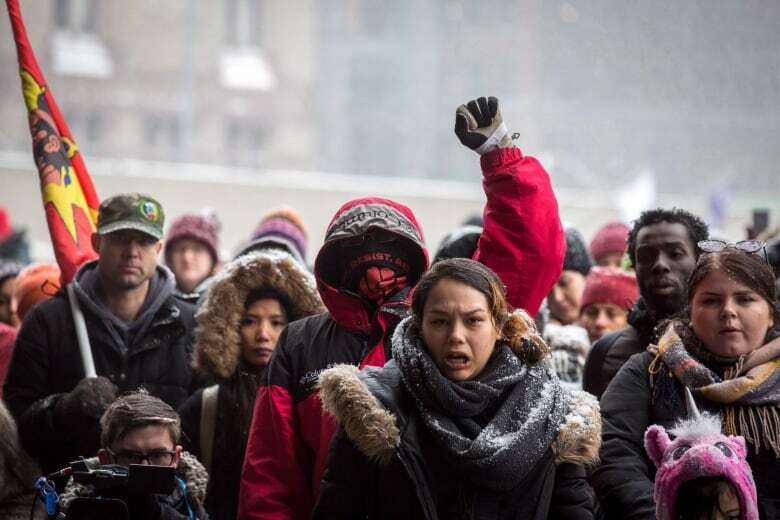 Two weeks later; grief again in Winnipeg, when Raymond Cormier was acquitted of murdering Tina Fontaine, a 15-year-old Indigenous girl. As of March 2018, no one has been deemed legally responsible for either homicide. "Reconciliation cannot happen without justice," said Ojibway/Lakota residential school survivor Peter Yellowquill. Marie Wilson recognizes the grief but she remains pragmatic about the long term. "I know that there always will be those who are cynical about all of this. I'm not there," Wilson said. "You have to hang your hope on the possibility of good people doing good things." Senator Murray Sinclair also calls for patience in the process. "Reconciliation will probably not occur in my lifetime," Sinclair said. "Probably won't occur in the lifetime of my children, but it will occur."